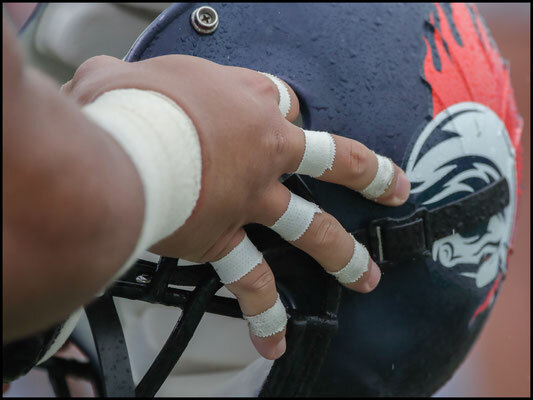 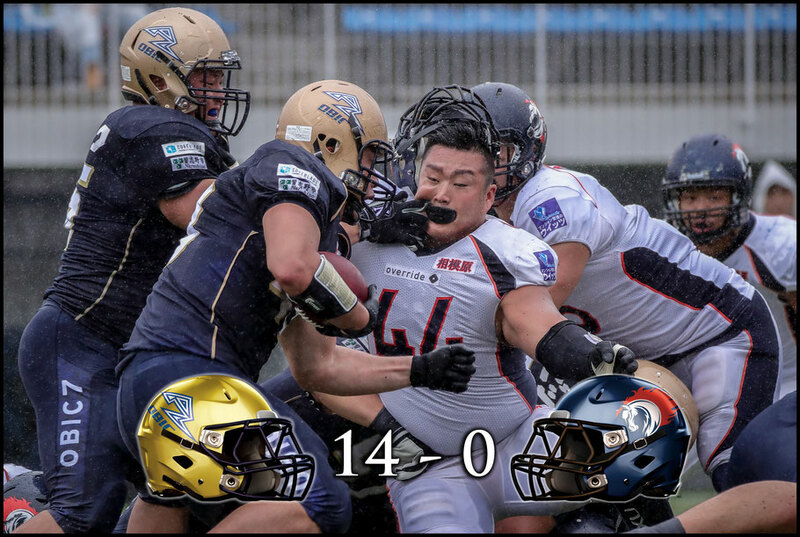 Obic Seagulls overcame a tough Nojima Sagamihara Rise team 14-0, to bounce back and get their first win of the 2017 season. In a sign of what was to come, Obic QB Devin Gardner was almost picked off as he tried to go long on the very first play from scrimmage. 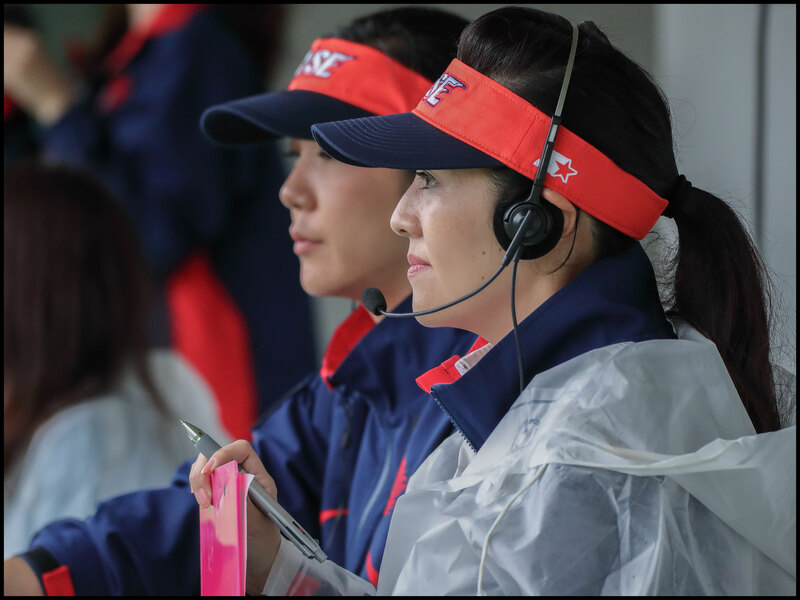 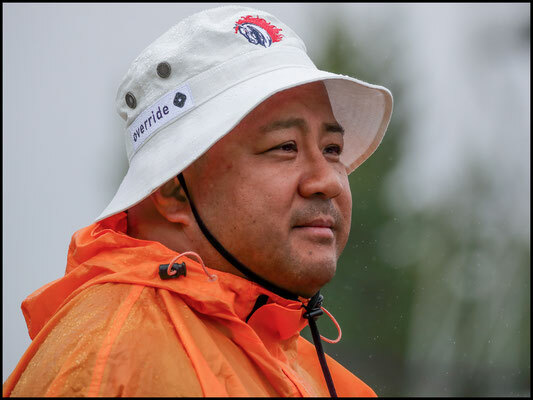 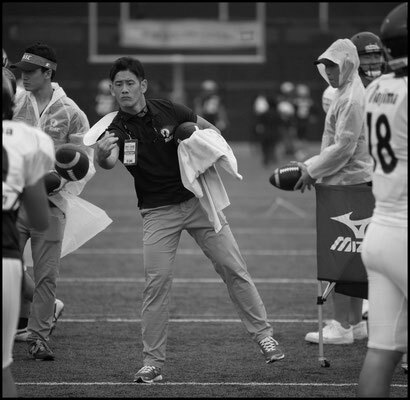 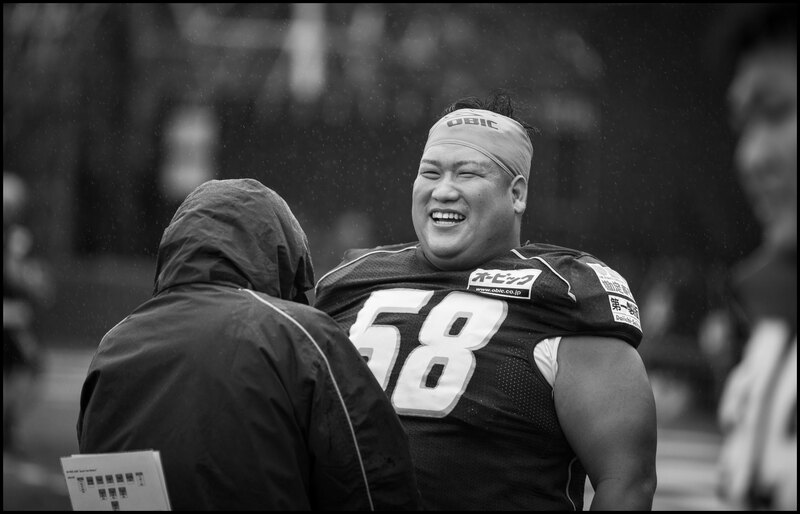 Nojima's gameplan had obviously included a heavy dose of pass plays but in constant wind and rain that was flirting with disaster. 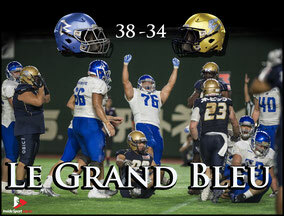 And so it proved. 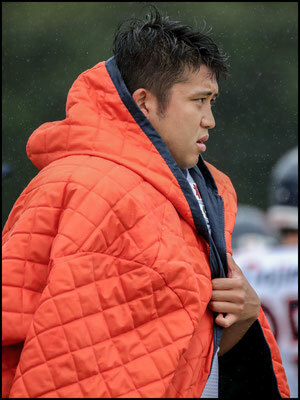 The first turnover didn't take long to come. 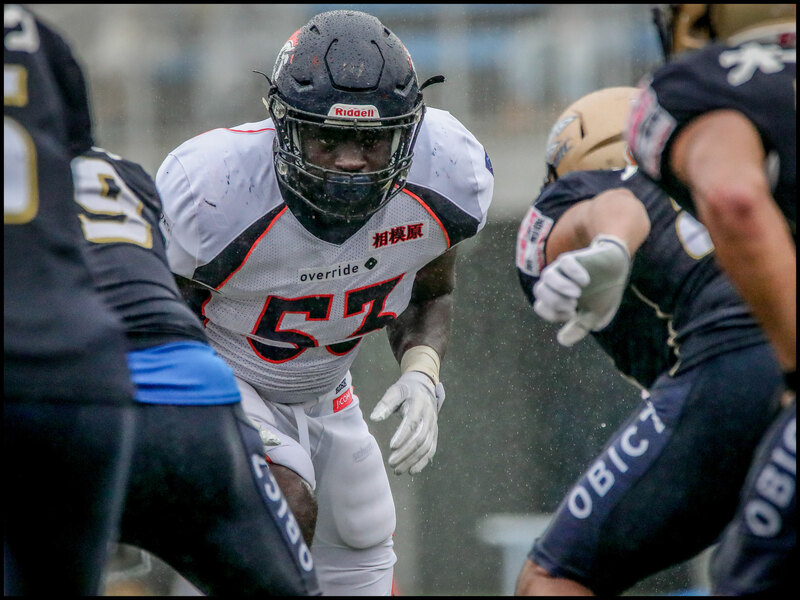 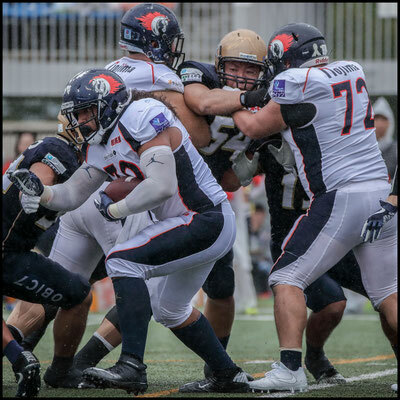 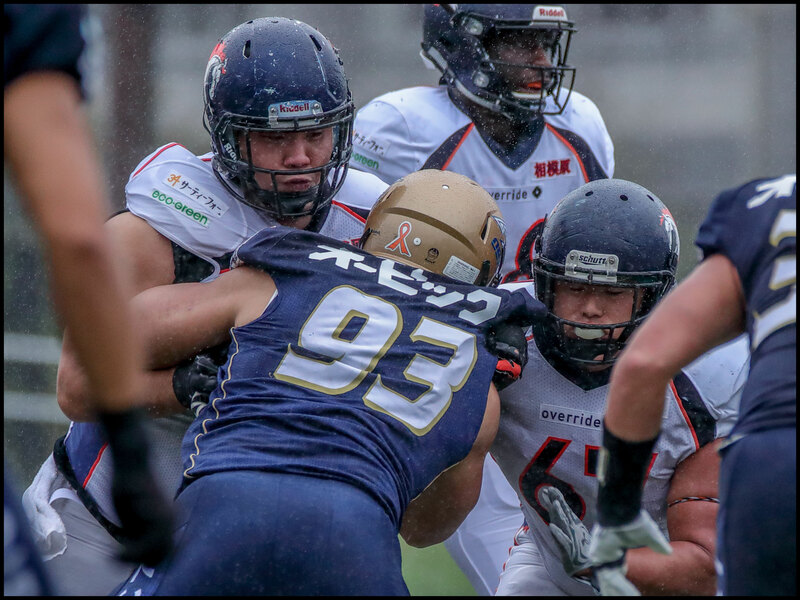 Veteran pass-rusher Kevin Jackson applied the pressure on Gardner, hitting him as he threw on third down and DB Takeshi Miyake picked off the pass giving Obic possession at Nojima's 25. 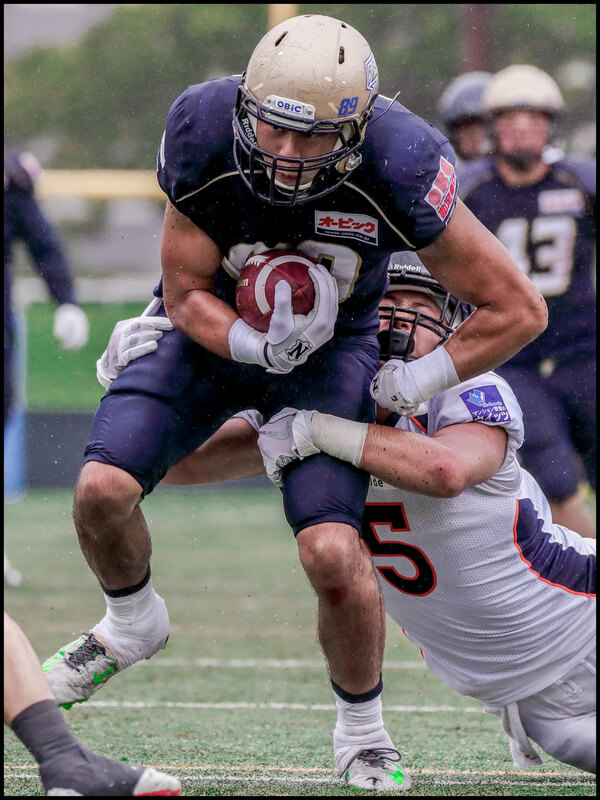 A penalty pushed the Seagulls back out of field goal range so that turnover didn't prove costly, but three more, most notably a Gardner fumble on 2nd and goal, were the difference on a day when scoring chances were at a premium. 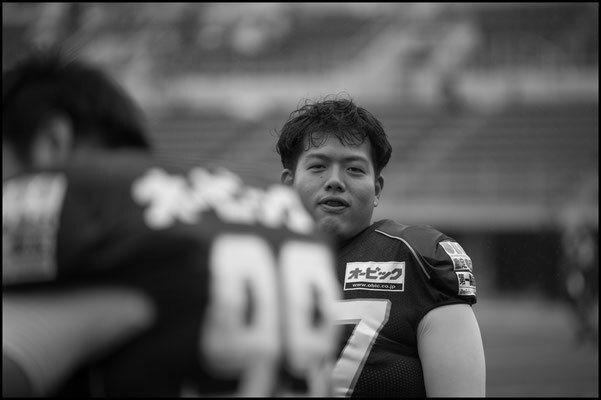 Nojima though can't be too downhearted. 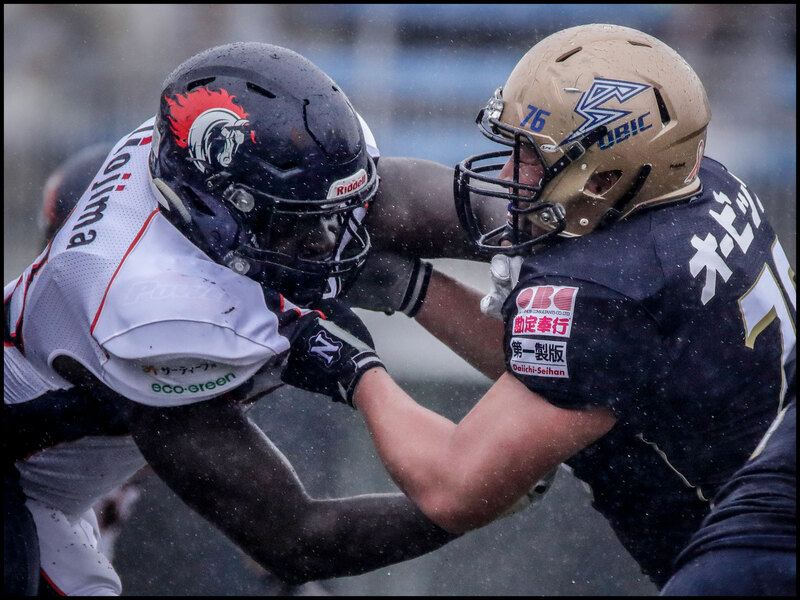 When you give the ball away four times to a team like Obic and are still in the game late, it says a lot about your quality. Of course, considering what happened in 2016, moral victories are something the Rise will have little interest in. A repeat of last year is unlikely though, as Nojima are a more balanced side in 2017. The loss of WR Jeremy Gallon was obviously a huge blow, but it does mean the Rise are less predictable on offense. 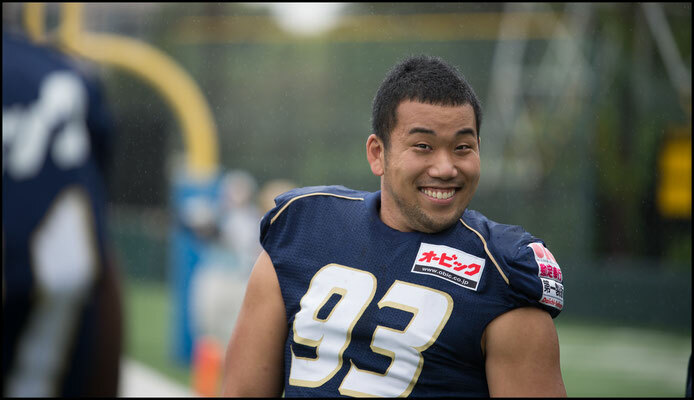 Gardner of course is a double threat and Sione Houma, once Nojima figure out how to best use him, will give them power on running plays between the tackles. 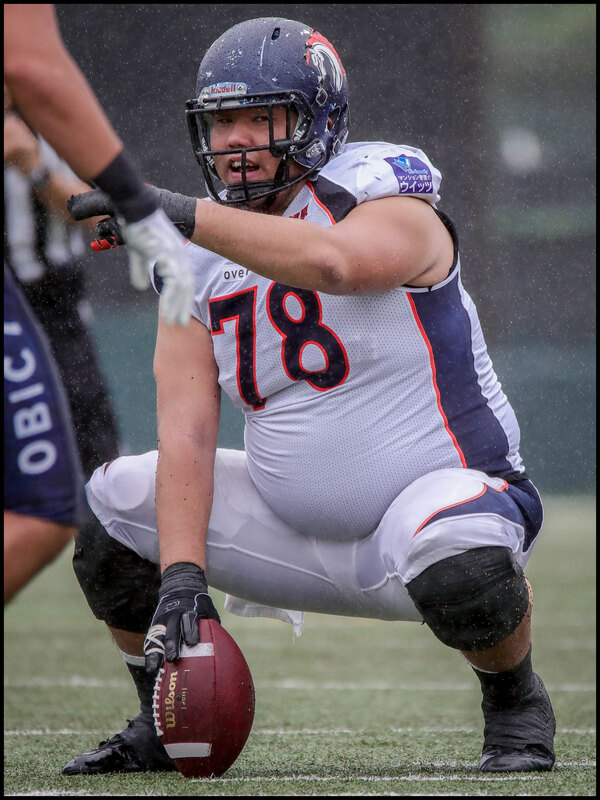 Another Michigan product is already providing that on the other side of the ball. 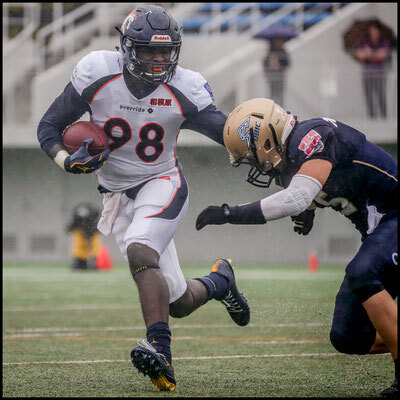 Mario Ojemudia's speed off the edge, and in pursuit of ball carriers is something we've mentioned before. 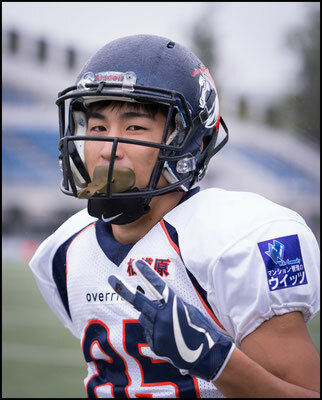 He didn't quite have it all his own way this time out, but #53 was a constant thorn in Obic's side. 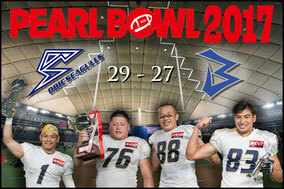 The Seagulls found an answer to him on their first score though. Shun Sugawara isn't the most mobile of quarterbacks but Obic double teamed Ojemudia on the right and Sugawara took off left for the touchdown run. 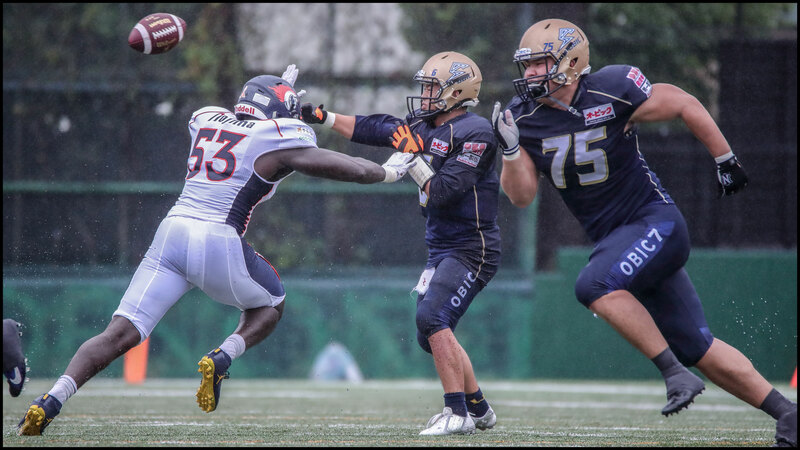 They didn't keep Ojemundia down for long though. The rookie put a big hit on Sugawara for a sack soon after the TD, and on the next play was in his face again, not allowing the veteran to step up into the throw. 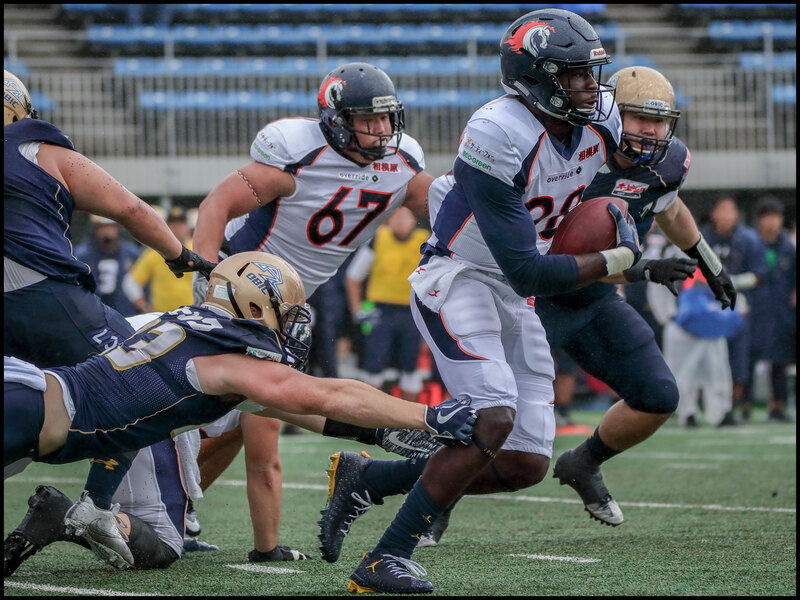 As the game wore on, Houma started to find his feet more, bulldozing over would be tacklers on two straight plays in the second quarter. 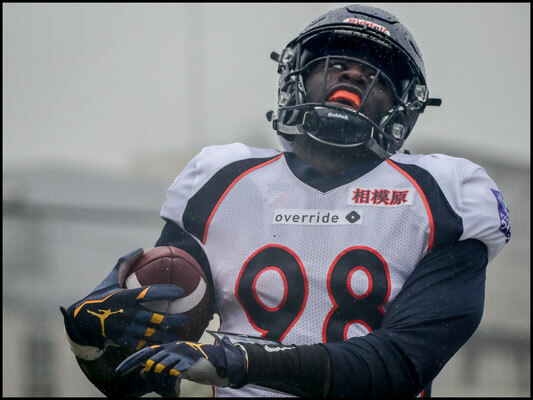 The running game really was the way to go in such conditions, but Gardner wan't able to gain the same kind of yardage with his feet that he did in the opener, plus the 193cm Detroit native has a howitzer for an arm and isn't shy about using it. 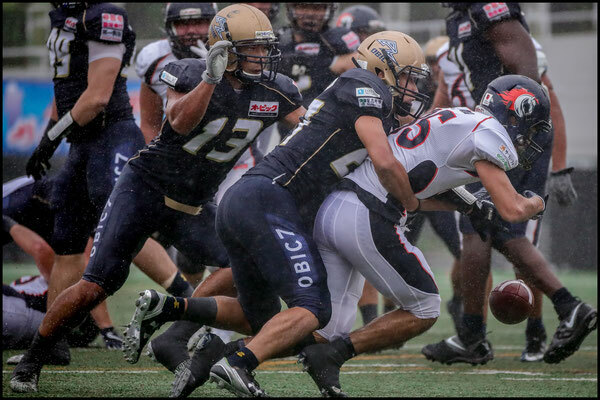 It was only some great work by Obic DB Ryo Yamaguchi that prevented him having more success in the air. 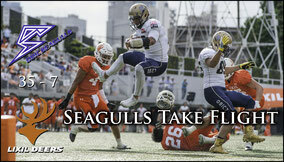 The Seagulls kept things on the ground most of the game, rushing 37 times for 141 yards. 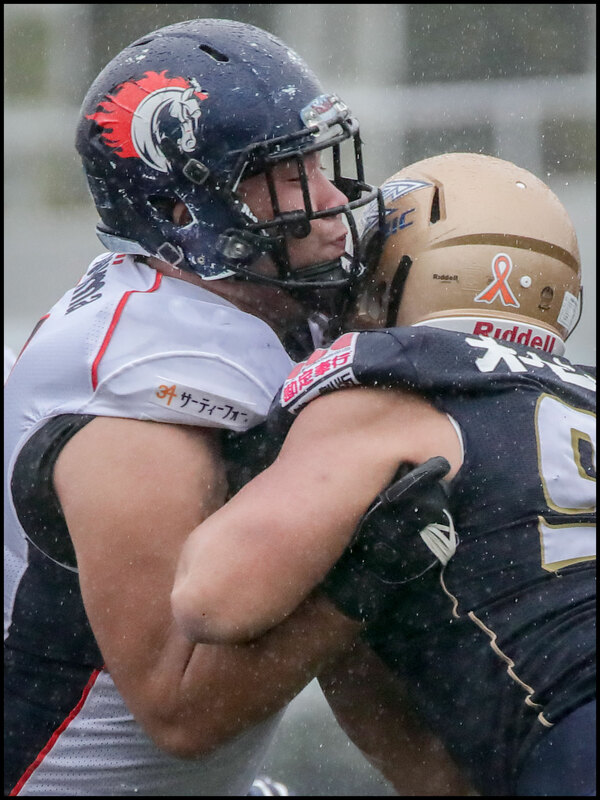 That's just under four yards a clip and was enough on the day to grind out the win. 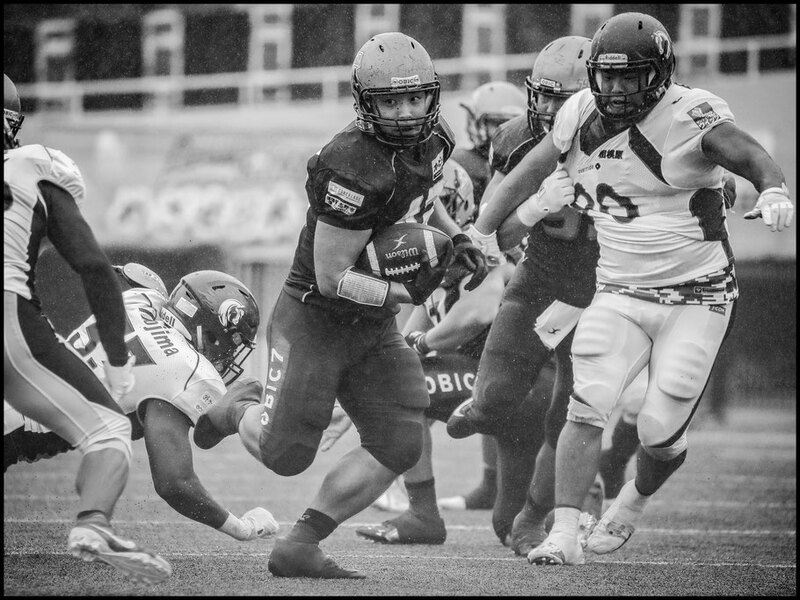 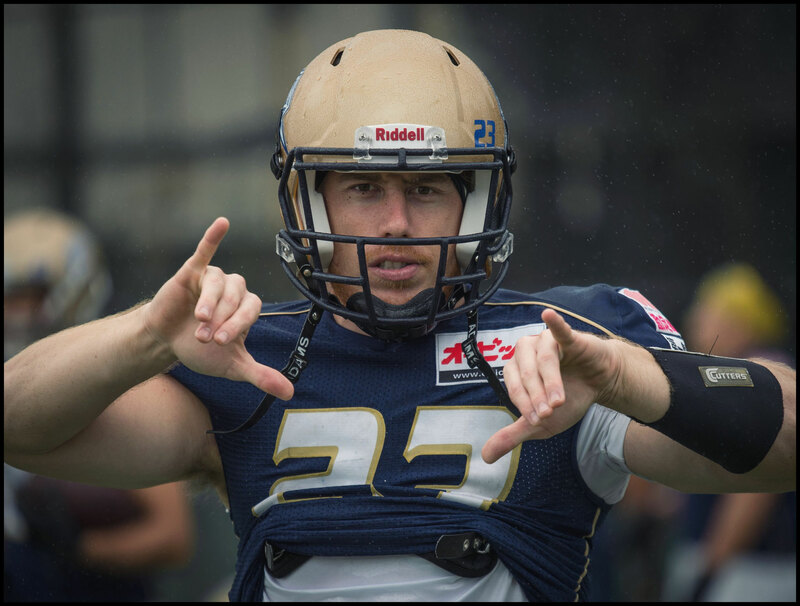 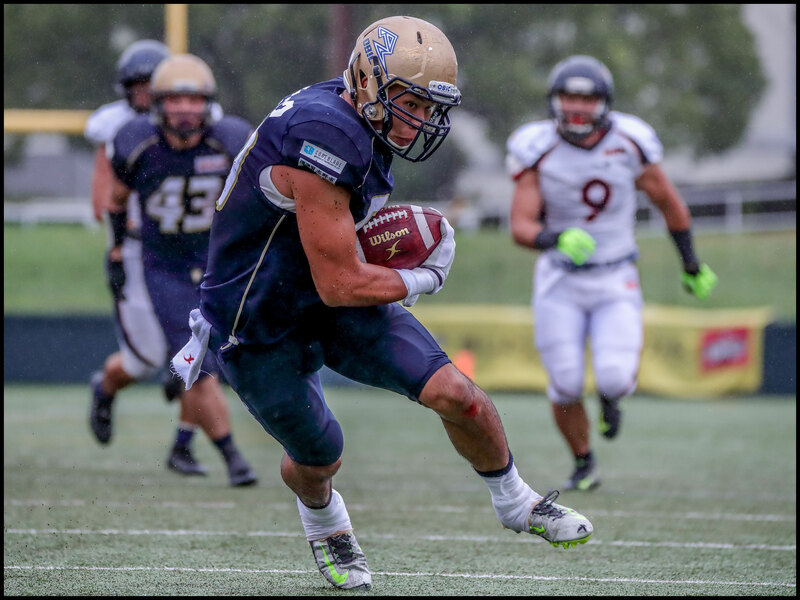 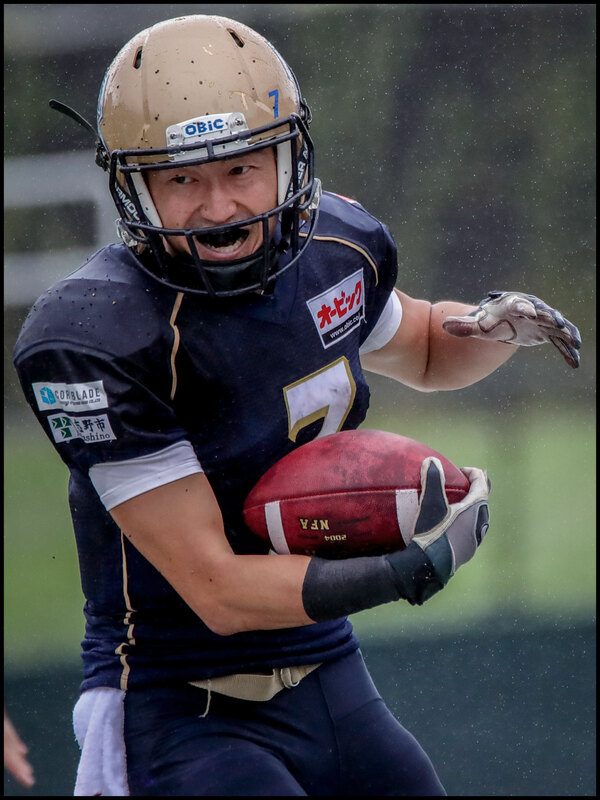 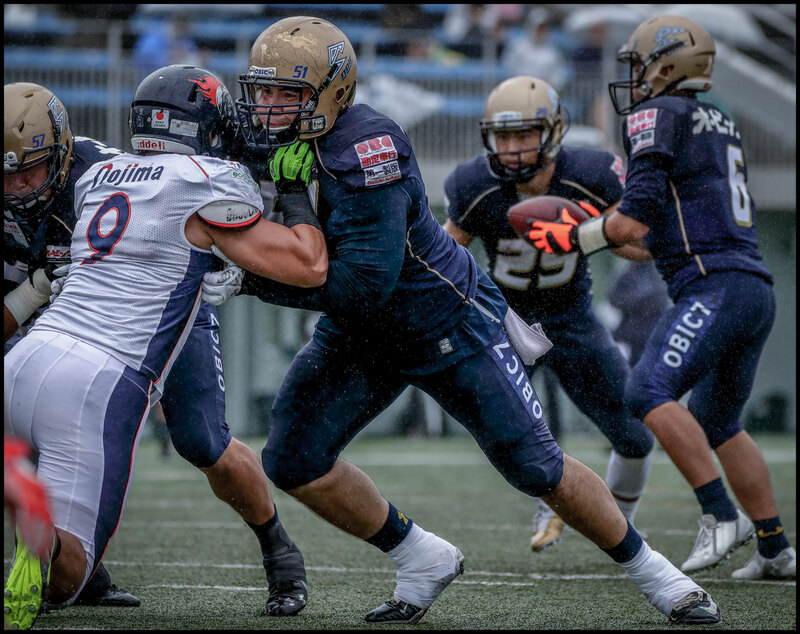 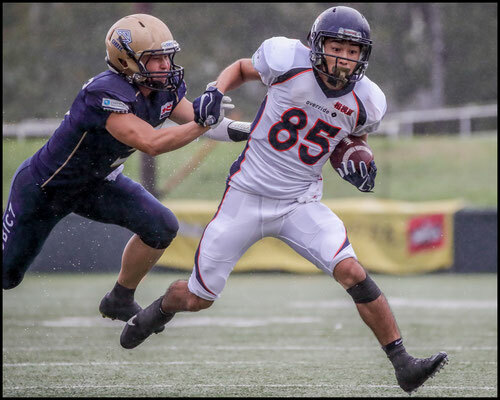 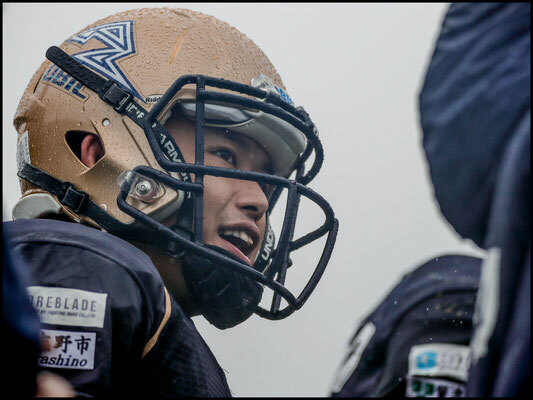 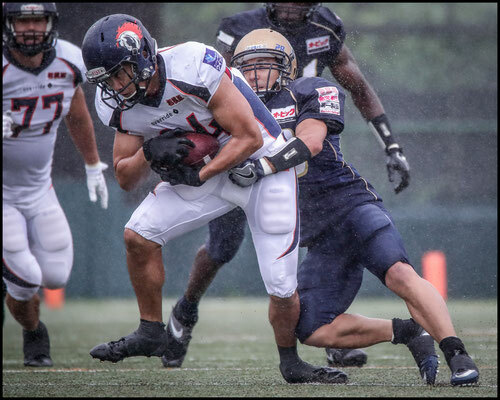 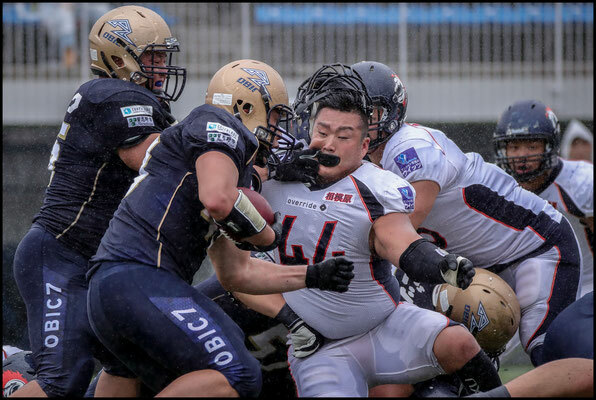 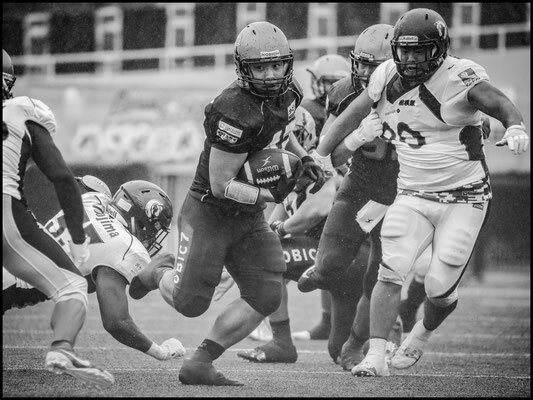 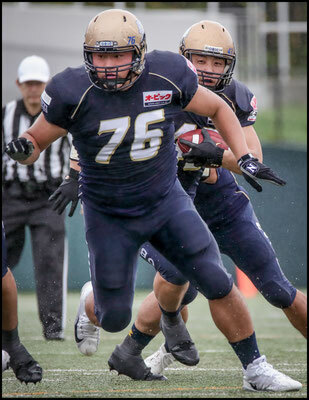 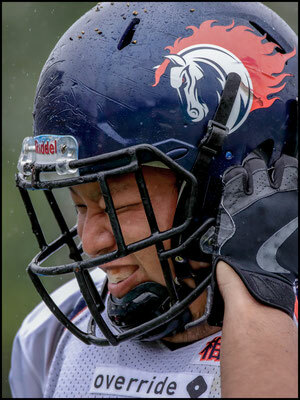 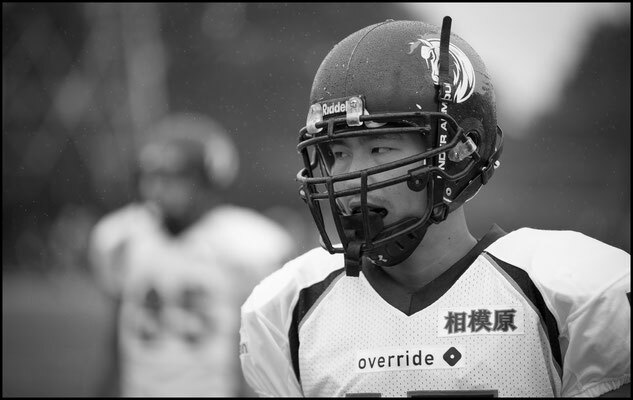 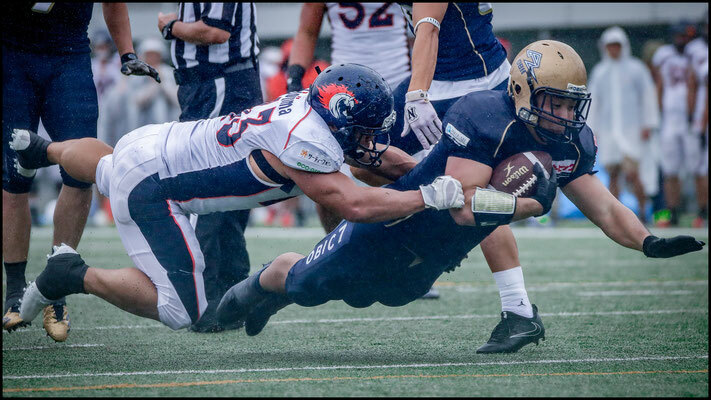 Rookie Taku Lee saw the majority of the work with the former Keio University Star gaining 84 yards on 18 carries. 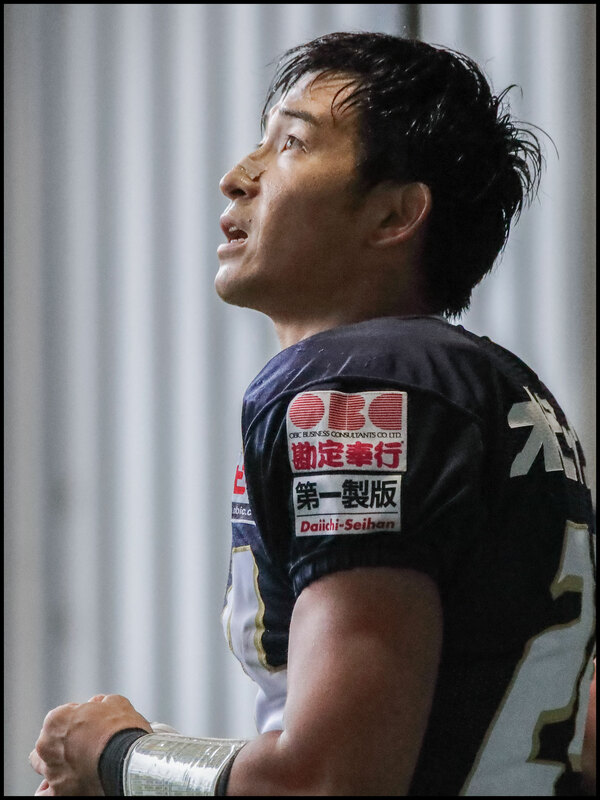 Asaki Mochizuki was the power compliment to Lee's flair and his 11-yard TD run in the third quarter was the day's only other score. 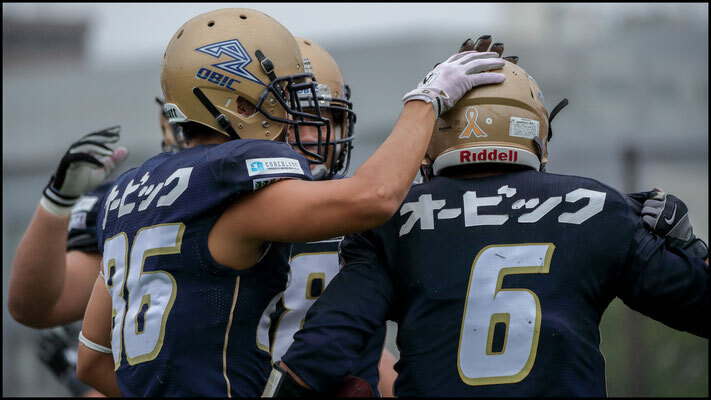 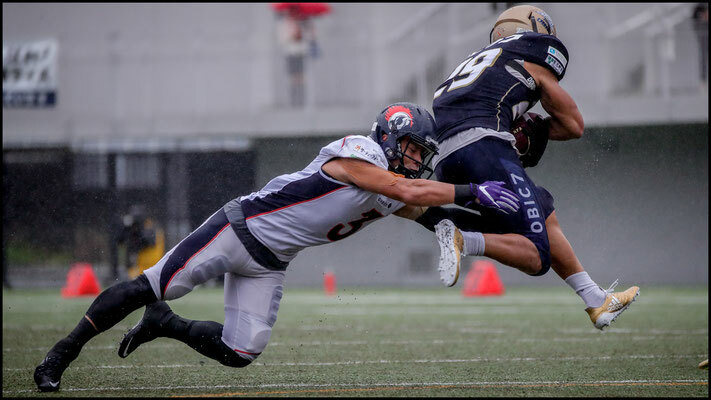 Obic appeared to be in control most of the way but with the score being so tight it wasn't until Nojima failed on a 4th and 3 attempt with just over three minutes left that the win seemed assured. The Seagulls next game is at home in Narashino on Sept 24th where they will take on the Lions. 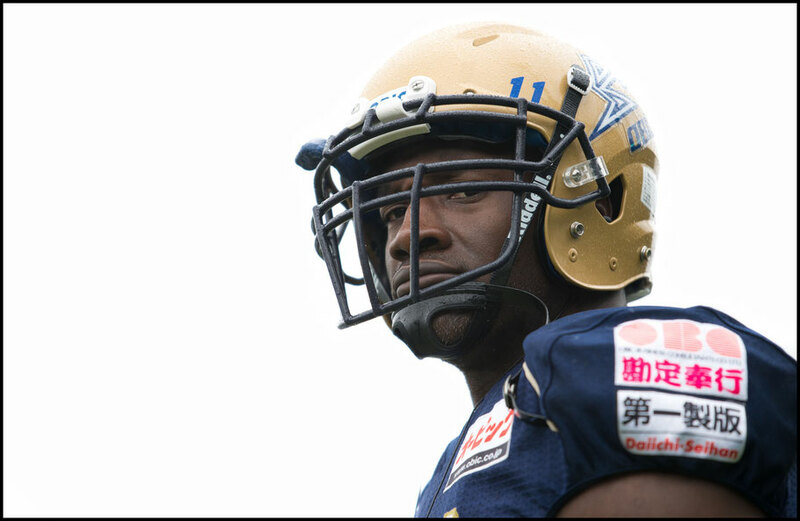 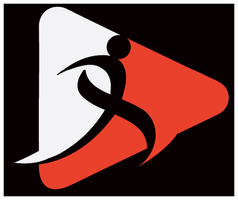 The Rise likewise will play host when Big Blue visit Sagamihara Gion Stadium on October 1st.